When will be The Adventures of Black Beauty next episode air date? Is The Adventures of Black Beauty renewed or cancelled? Where to countdown The Adventures of Black Beauty air dates? Is The Adventures of Black Beauty worth watching? 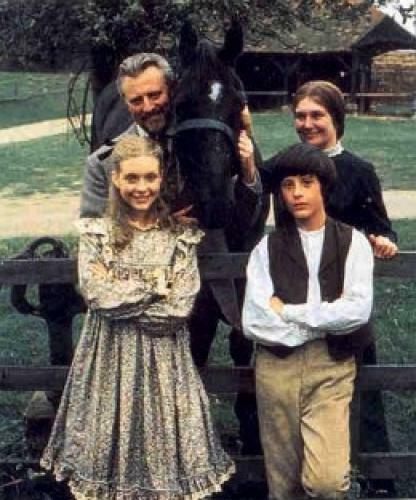 The Adventures of Black Beauty is a British adventure family television series produced by London Weekend Television and shown by ITV in the United Kingdom between 1972 and 1974. It was distributed internationally by London Weekend International.The series The New Adventures of Black Beauty (1990–91) was a continuation of the 1970s series, and was set in the year 1907, twenty years after the original series.Two series were produced, the first airing from September 1972 to March 1973 and the second from September 1973 to March 1974. Although it was mainly aimed at children, it was shown in the Sunday teatime family timeslot and gained a wide audience, becoming popular enough to make the general Top 20 ratings. It was repeated regularly, although often on a regional basis, for many years, its last full repeat run being on Sunday mornings from 1986 to 1988. It also aired in the United States on Nickelodeon in the 1980s. In July 2009, Retro Television Network picked up all 104 episodes of The Adventures of Black Beauty and The New Adventures of Black Beauty, and affiliates began airing the show, listing both shows as simply Black Beauty.The theme tune, "Galloping Home" was written by Denis King and performed by the London String Chorale. In 1973 it won the Ivor Novello Award for Best Theme Tune and was voted no. 2 (after Hawaii Five-O) in the Greatest TV Theme Tunes of All Time. It was also released as a single and peaked at number 31 in the UK charts in the week of 2 February 1974. Kevin and Albert enjoy listening to the tales of Corporal Donovan, who claims to have been in the Light Brigade but Albert has his doubts. When men claiming to be the squire's employees evict Donovan, the boys come to his aid and with Beauty's help uncover stolen goods. Dr. Gordon and Amy head to the city, leaving the youngsters on their own and arguing about who will ride Black Beauty. Albert sneaks off with Beauty to a carnival and loses the horse to shyster Teapot over a shill game debt. Kevin, Jenny, Ned, and Beauty must aid Albert in dealing with his blunder. Mr. Coomb's dog is injured in one of the squire's traps and the older man doesn't know how he will watch his sheep. Dr. Gordon volunteers Kevin and Albert, who do their best but the sheep start mysteriously disappearing. Albert uncovers a rustling operation but needs Beauty's help to prove it. The Adventures of Black Beauty next episode air date provides TVMaze for you. EpisoDate.com is your TV show guide to Countdown The Adventures of Black Beauty Episode Air Dates and to stay in touch with The Adventures of Black Beauty next episode Air Date and your others favorite TV Shows. Add the shows you like to a "Watchlist" and let the site take it from there.